Spin to win! 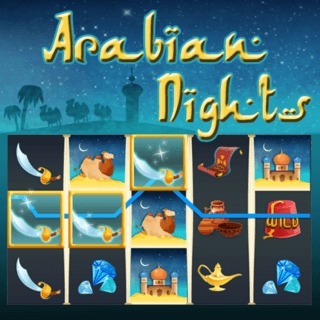 Relax and play this fun 5-reel slot game with a beautiful 1001 Arabian Nights theme. No real cash needed, you can safely bet and spin for free! Get three or more bonus game icons on any reels and trigger a bonus round at the Wheel of Fortune and the chance to win extra coins. How much can you accumulate before you run out of luck?